As is the case with many historical facts; the facts as we understand them today have been written by the victors. This is especially true when we’re discussing the history of the great game of Bingo, which is littered with vague accounts and wild inconsistencies. Of course the game didn’t just spring into being one dark, cold night. As with most things, there was a seed of an idea that evolved and changed over decades before it became the game that we all know and love today. When it comes down to it, Bingo is, above all else, a form of gambling, which has been around in one form or another for thousands of years as a leisure pursuit. All forms of gambling have changed over time as cultures have moved on, but bingo is unlike any other game of chance, because it’s arguably more about the community and the sheer fun of the game than the prize. However, it wasn’t always that way. The game has its origins in the lottery games that were popular in Europe throughout the 16th century, which were based on the drawing of random numbers (sound familiar?) and basic luck. To get from there to where we are today was a gradual process. Where Was Bingo First Played? Whilst games like it evolved from similar games played in Europe in the 16th century the specific game of Bingo has its roots in Mexico. In 1838, an English archaeologist called John Stephens was travelling through the country and discovered a game where a caller drew numbered balls out of a bag and players used grains of corn to cross off those numbers from a sheet ranging from 1 – 90. Whoever was the first to cover a row, won the jackpot. Called “La Lotteria,” this is the first time the game was documented, but rumour has it that the game’s origins stretch back even further in time and closer to home. It’s thought by many that the British Navy learned the game from locals when they were stationed in Malta in the early 1800s and, years later, they began to call is “Housey-Housey” and “Navy Tombola.” These are names that stuck as the game continued to be played by the army well into the 20th century. The game also spread to North America around this time, where it had taken on the name “Beano,” due to the fact players would cover their game sheets with beans instead of corn grains. It’s here that the name “Bingo” itself supposedly originated, as, during a county fair in Georgia in 1929, a toy salesman named Edwin S. Lowe was reportedly playing the game when he heard a winning woman accidentally scream “Bingo” instead of “Beano.” Lowe liked the name enough to use it in his own related product and the rest, as they say, is history! This is a great story, of course, but it might be just that, as there are also conflicting reports that the game was being called “Bingo” in the UK as far back as 1928, a full year before Edwin’s game. There are no official reports though, so it’s all conjecture. They first documented use of the term in the UK is in the 1930s, so historians agree that the Edwin S. Lowe account is definitely worth seriously considering. It’s difficult to ascertain precisely where the first bingo calls were used and what they were, but historians generally agree that they were initially born of necessity, not whim. By the late 1930’s, the game had become popular enough that some had figured out how to fix the game by calling out incorrect numbers. To rectify this, players were asked to come up and draw the balls, but this obviously made the game drag, so callers began coming up with humorous calls in order to cover the gap between calls and make the game seem more fun. As for the calls themselves, many of them have military names, and that’s because the game was played often (as previously mentioned) by the British military in the 1930’s and 40’s. Bingo is a game for everyone! It’s true that the elderly do enjoy a good game of Bingo, but this is something that should be encouraged, as it’s a great way to keep older generations switched on, with the number-based gameplay keeping the grey matter working as well as the social benefits, too. Younger generations, meanwhile, have discovered the game through online Bingo sites, which have modernised the game and created a platform for people from all corners of the globe and all walks of life. For younger children, Bingo is also a great way to teach basic number skills. As for why it remains so popular to this day? It’s just plain fun. It’s also a remarkably social game, which values community and communication, so it seems unlikely it will be going anywhere anytime soon! 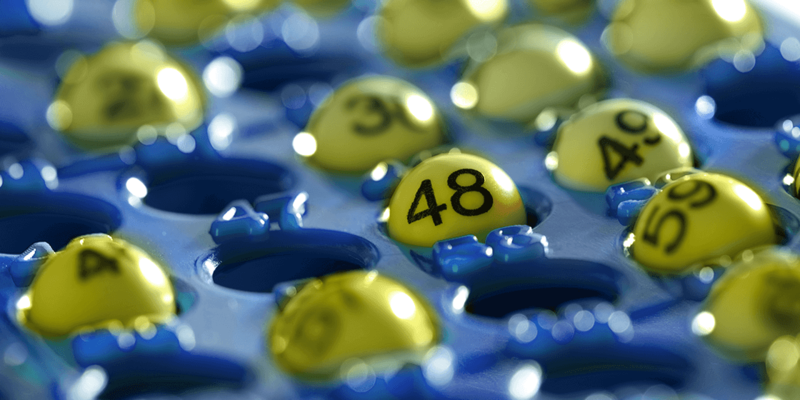 There are hundreds of Bingo halls and clubs in the UK. The Gala Bingo brand alone has over 130 clubs scattered up and down the country from Aberdeen to Plymouth and everything in between, so you’re never likely to be far from one of their comfortable bingo halls and incredible jackpots. Away from the larger, established halls and clubs, meanwhile, many pubs and local clubs will put on their own Bingo nights. Many retirement homes, youth clubs and other assorted locations where people tend to gather will also put on their own Bingo nights. Sometimes you might even find a quick game hidden between the round of your local general knowledge quiz? Of course, you could also dip your toes into the world of Bingo online, which is growing in size and stature as the internet itself does likewise. If you own a smart device (phone or tablet) there are also many Bingo apps available, with the touch-screen flexibility offered by these devices perfectly set up for the game. Whichever route you go down, however, you certainly won’t regret giving it a go, and now you understand the game’s historical origins you’re even better placed to jump in with both feet and get cracking. Who knows, you might just be a natural! Previous Previous post: Planning for Christmas!